When you're the handpicked, exclusive Go-To Oakville expert for In The Know Local, you have the fun of showcasing your favourite local spots. 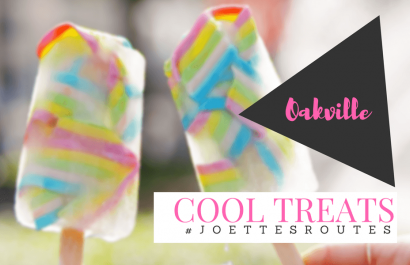 This month, Joette celebrates summer with her Cool Treats #Route and invites you to follow along for a cool day out! Who knows the coolest places in Oakville? Joette Fielding does! This month the team put their sunglasses on and hit the streets to bring you 10 great summer stops that really will cool you down. Enjoy our surprising collection of action, drinks and delicious snacks with none of the planning - Joette has done it all for you! Be sure to snap some photos along the way and tag us @thefieldingteam and @ITKnowLocal so we can share the love.